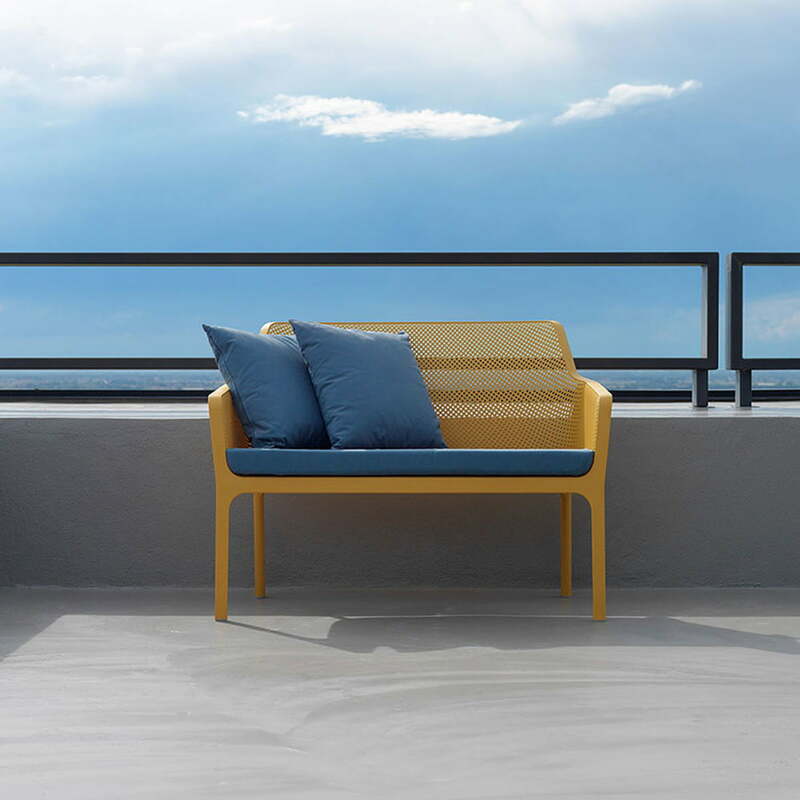 The Net Bank by Nardi can be made even more comfortable with the matching seat cushion. The cushion is equipped with a 3.5 cm thick polyurethane foam filling, which provides extraordinary comfort. The filling is surrounded by a robust cover made of 100% fibre-dyed acrylic. Thanks to its waterproof, light-resistant properties with anti-soiling and anti-mould coating, the seat cushion is ideal for outdoor use. The cushion has a zipper so that the cover can be easily removed. At 30 °C the cover can be washed in the washing machine. 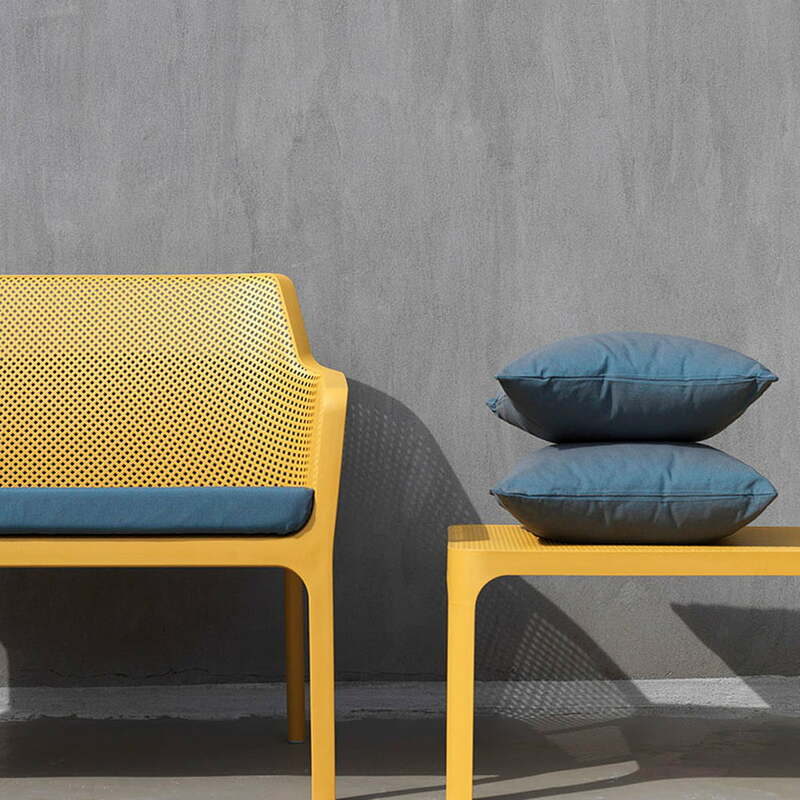 The seat cushion in grey is made of Sunbrella through-dyed acrylic fibre and can be cleaned at 40 °C. The seat cushion is made of acryl fibre. On Nardi's Net Bank you can spend relaxing hours of sunshine in the garden. With a length of 116 cm, the bench offers relaxed space for two people and provides maximum comfort thanks to the armrests. 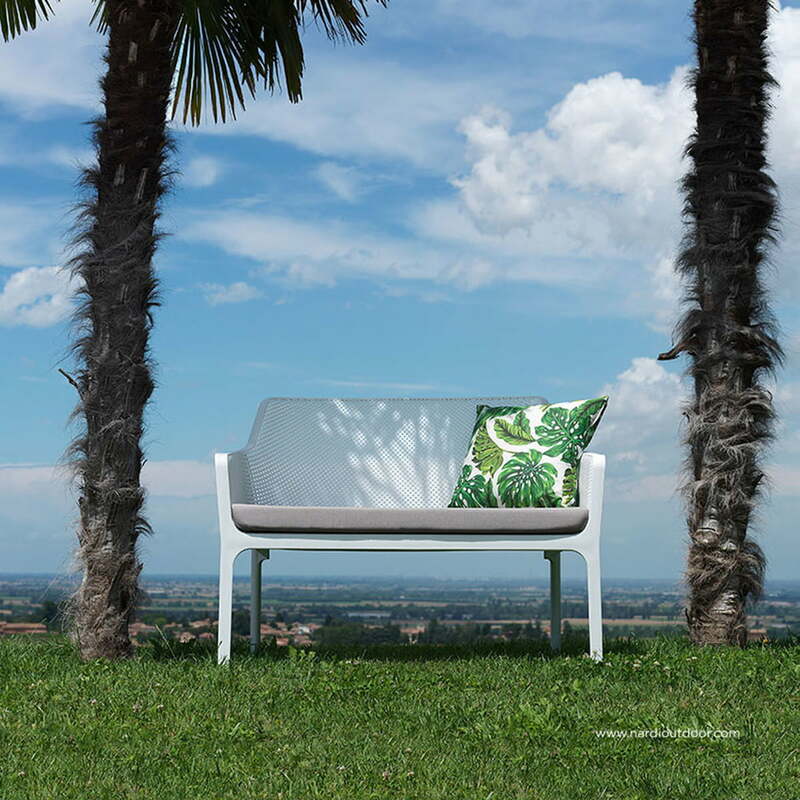 The design of the Net garden bench comes from Raffaello Galiotto and is characterised by a modern design language that blends in perfectly with any outdoor ambience. 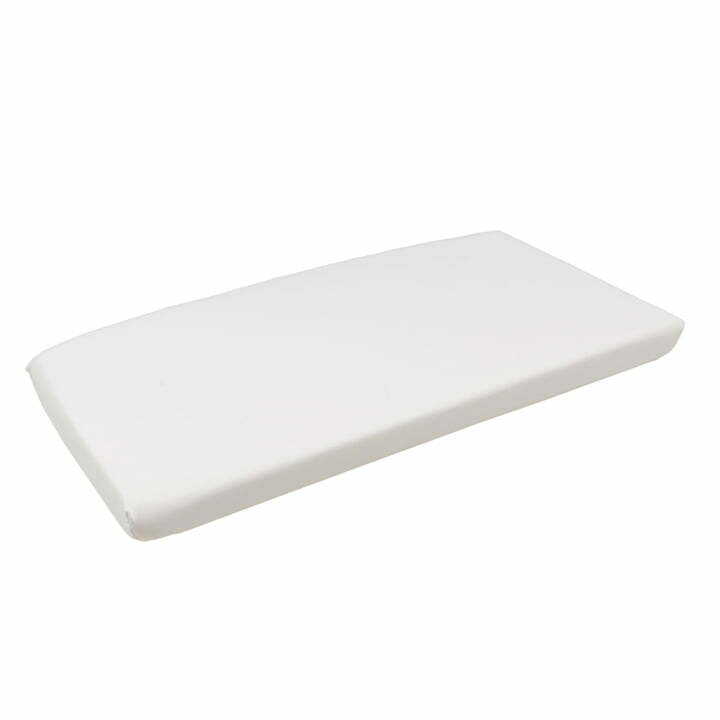 The bench is supplied with non-slip caps on the feet, which provide reliable support on any surface. A matching seat cushion is available separately.